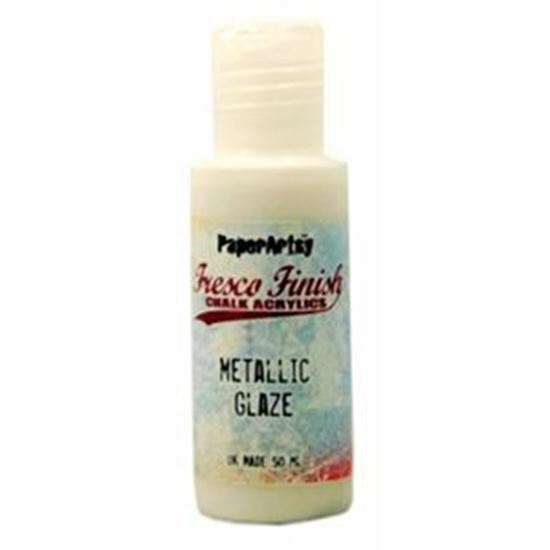 Fresco Finish Metallic Glaze Metallic Glaze is a glaze with a soft, pearl-style metallic glimmer. Use a thin coat over Fresco Chalks for a delicate vintage sparkle effect, or mix with satin glaze to control the amount of glimmer you wish to apply. Stunning over pale shades of Fresco Chalks. Shake well befor using. Easy clean up in warm water. Low or no VOC's. Eco Friendly.